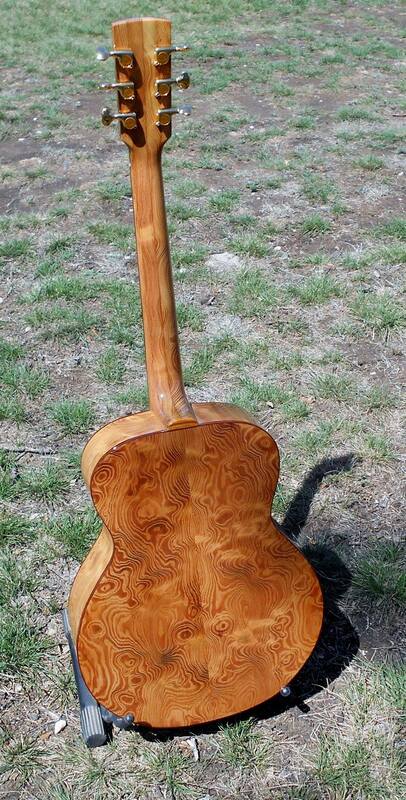 Peterson Acoustics was established in 2004 by Neil Peterson. Neil first became interested in instrument building while working as the owner of his cabinet shop, Peterson Woodcrafts. He thought "Hey, that can't be that hard", decided to try making a fiddle on his own, and did! From there, he ventured into the guitar world, but soon found that there were many fine details to guitar making that he needed to learn. So, he hopped on a plane and spent a week studying under George Morris at Vermont Instruments. Neil has now built over 75 guitars, and has the joy of hearing his guitars played by friends, family, and professional musicians across the globe. His designs are unique and beautiful, and often feature reclaimed wood from the local Hill Country area.